Ten years ago today, the Galileo spacecraft, itself nearing the ten-year anniversary of its launch, flew within 611 kilometers (379 miles) of Jupiter's volcanic moon Io. This was Galileo's first opportunity to observe the satellite with its remote-sensing instruments, which had been turned off during Galileo's first Io flyby in December 1995 to protect the on-board tape recorder. On Thursday we took a look at the planning that went into this encounter, as well as briefly covering the observations that led up to this encounter in 1999 and about Galileo's previous encounter in 1995. On October 11, 1999 at 04:33:03 UTC, Galileo encountered Io for the second time. 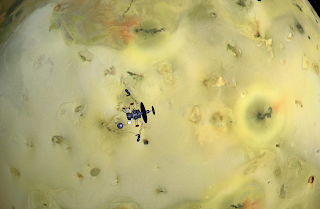 Unlike the previous encounter, all of Io's remote-sensing and fields-and-particles instruments were active, acquiring high-resolution and high-data rate observations of the volcanic moon. 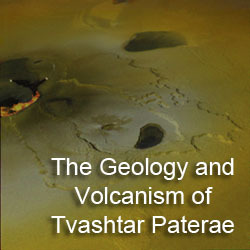 This data included high-resolution imaging of several of Io's active volcanoes including Pele, Pillan, Zamama, Amirani, and Prometheus. The hardware error causing the safing was a memory read error in the CDS B string High Level Module - the 'executive controller' for the CDS B string. Because the error was detected by the CDS bus controller (and not the microprocessor), this is likely to be an error in memory used for data buffers. 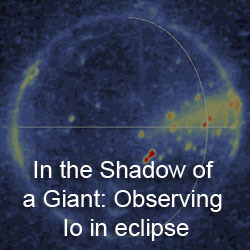 The safing event and the memory error that caused it led to the loss of magnetometer and other fields and particles instrument observations of the inner Io Plasma Torus and Photopolarimeter-Radiometer observations of Jupiter and Io's nightside. Although Galileo was forced to use its low-gain antenna instead of its high-gain one because it failed to unfold, it was still enough to maintain a two-way communications link with Earth while it would carry out its science observations. This differs from Cassini, which must turn its antenna away from a direct-to-Earth link during most observations due to the lack of a scan platform. Thanks to Galileo's two-way link, Galileo's controllers on Earth were able to generate a preliminary diagnosis for error that caused the safe mode, send commands to the spacecraft to bring it out of the safe mode, and restart Galileo's science observations. The sequence began shortly before a PPR nightside observation (similar to this one from I25 and I27). From that point, Galileo was able to complete the rest of its science observations for the flyby. 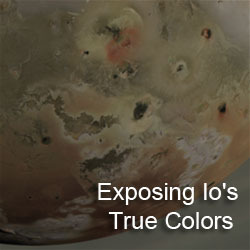 Safing events such as the one that occurred prior to I24 were an expected event as the result of the high-radiation environment close to Io's orbit. The charged particles within the Io Plasma Torus can cause random memory errors such as the one seen prior to I24, which result in the spacecraft detecting an anomaly and putting itself in safe mode, essentially protecting itself from further harm. Additional safing events would occur on future encounter, causing problems that resulting in the loss of close-approach science during the I25 encounter in November 1999 and the I33 flyby in January 2001. Because Galileo had to use its low-gain antenna, the spacecraft played its data from each encounter very slowly, starting shortly after the perijove passage for that orbit right up until the beginning of the next perijove. When the SSI team took a look at the more than 150 images that were returned, they discovered an anomaly with the summation mode images. In this mode, also known as AI8, the images were shrunk by a factor of 2 in order to improve the signal-to-noise ratio, which was expected to be poor due to the intense radiation environment, and to allow for more images to be saved on the tape recorder and returned to Earth. The imaging strategy for most of the I24 observations developed by the Io group on the SSI team was to acquire mosaics of images using the AI8 mode with an additional IM4 or IM8 image at the end of the mosaic (both are full-frame instrument modes. After the exposure, the image will then begin to be readout. This process begins by shifting the "image" in the active pixel area of the CCD up by two lines into the serial shift register, basically a row of 825 image elements outside the active pixel area. By shifting the image up by two lines, those two lines are added together. This row of summed pixels is then double-shifted to the left (two-pixels at a time), until 24 of the 25 pixels are filled. During this step, the baseline stabilization circuitry is turned on to measure the dark level of those pixels. The row of pixels would then continue to be double-shifted to the left to be read by the 8-bit analog-to-digital converter (ADC) and the summed pixels to be stored in memory. The reconstruction group found that the pixels single-shifted left instead of double-shifted. This led to many of the issues seen in these anomalous AI8 images, including the left half-right half double exposure as the right half were added onto the left half of the incoming summed line pair. This process would then be repeated for the next line. Because the register had only shifted left 400 times, the right half of the top two lines was still there in the register, the left half of the next two lines were added to them. The register would be shifted to the left, again mistakenly in single, rather than, double shifts. Because the ADC is turned off at the start of the read out process (remember that normally there are no pixels with actual data in the first 25 pixels of the register), these 25 pixels are not stored to memory, resulting in the vertical gap seen in the middle of the reconstructed images. At the end of this line, the serial shift register would then be shifted to the left, with the ADC off, 7 times. This results in the alternating bright/dark lines along the right side of the scrambled image (and the alternating pairs along the left side of the vertical gap and the right side of the image in the reconstructed images). Steps 2-4 are repeated 199 more times for the rest of the image. 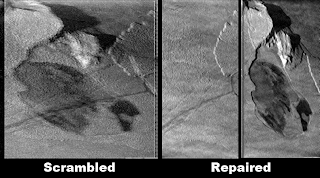 Using this slight offset and knowledge with how the summed images are supposed to be produced, scientists at JPL were able to reconstruct these images using software developed in National Instrument's LabVIEW program. Details on the reconstruction effort can be found at the PDS. An example of a reconstructed image can be seen above. Another anomaly resulted in dark vertical bars are visible in the image as a result of the successful summation half the time. These images haven't been successfully recovered. With many of the AI8 images recovered, these can still be used for scientific analysis, though much of the photometric information is lost in the reconstruction process. Care must also be taken to look out for remaining artifacts, such ghosting of very bright and dark features appearing in the opposite half of the image. 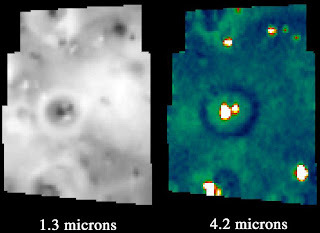 One of the goals for the I24 encounter for the Near-Infrared Mapping Spectrometer (NIMS) was to measure Io's surface composition by looking for absorption features in the near-infrared (1-5 microns) at high-spatial and high-spectral resolution. NIMS was an imaging spectrometer which used 17 detectors along with a diffraction grating in order for it to build up spectra images with up to 408 wavelengths for each pixel. With so many wavelengths in this spectral range, high-resolution spectra can be generated, where small absorption bands from different surface components can be observed. The hope was that with the NIMS data from different volcanoes across Io's anti-Jupiter hemisphere, scientists could not only measure the temperature of lava flows on the surface, but also directly measure their composition. Unfortunately, between C22 and I24, the diffraction grating became stuck in a single position, reducing the spectra from 408 measurements down to 17. In addition, three of those detectors became much less useful because the grating became stuck in an unusual position. This position placed the wavelength these detectors would sense outside their blocking filters, rendering them effectively out-of-commission. Two other detectors stopped functioning prior to this encounter, further reducing the number of wavelengths for NIMS spectra from I24 onward to 12 between 1 and 5 microns. This anomaly reduced NIMS's effectiveness for detecting minor constituents because it could no longer resolve small absorption features. However, the spectral resolution was still good enough for measuring color temperatures from Io's volcanoes and for measuring sulfur dioxide frost abundance by ratioing one measurement inside an SO2 absorption band with one outside that band. The use of one grating position also allowed the NIMS team to acquire high signal-to-noise data since they oversampled their spectra (basically acquiring the same 12-wavelength spectra multiple times). These problems aside, I24 was still largely successful with numerous images and spectra acquired. On Tuesday and Thursday, we will take a look at some of the data Galileo acquired at Io during the I24 flyby. "These images haven't been successfully recovered." More of an exercise in image enhancement than anything scientifically useful; the photometry has been clobbered to death and even relative brightness isn't always correct.